The International Asian Fashion Awards (or IAFA) returned to London for the second year running last month. 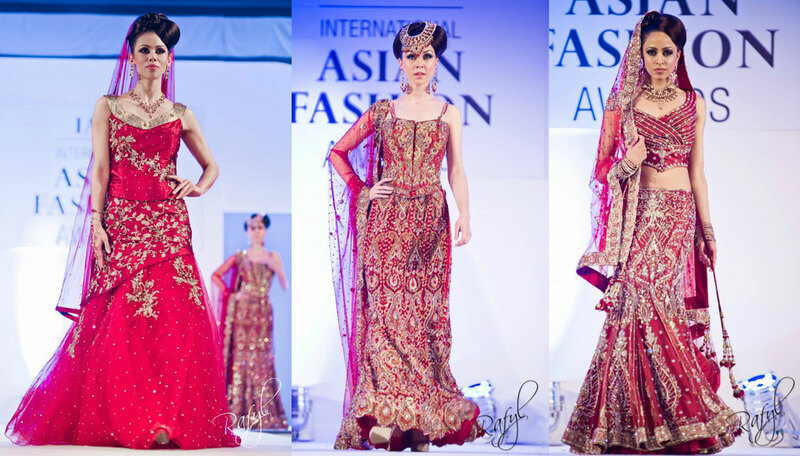 The main aim of this event was to "honour success in style, reflecting the unique elegance in Asian fashion". I didn't attend in person, but from what I've seen it looked like a lavish event - as well it should with standard tickets at £100 each and "VIP" tickets at £150 each! 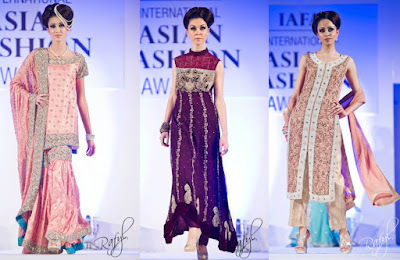 There were 10 awards in total on the night and businesses involved in the asian fashion industry were invited to submit their own nominations. These nominations were judged by a panel which included Indian designer Neeta Lulla, Pakistani designer HSY, make-up artist Lubna Rafiq, Sultan Asi - owner of Imani Studio, Onita Prasada Vashish - owner of O'nitaa, and Jyotika Oberoi from India Today magazine. 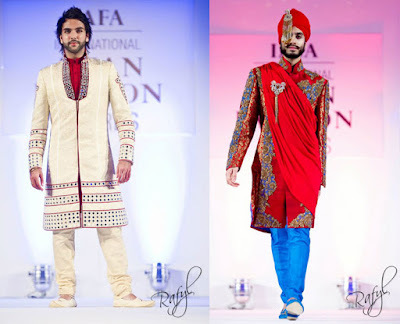 Ziggi Studio, who also won this award at the 2010 IAFA event. 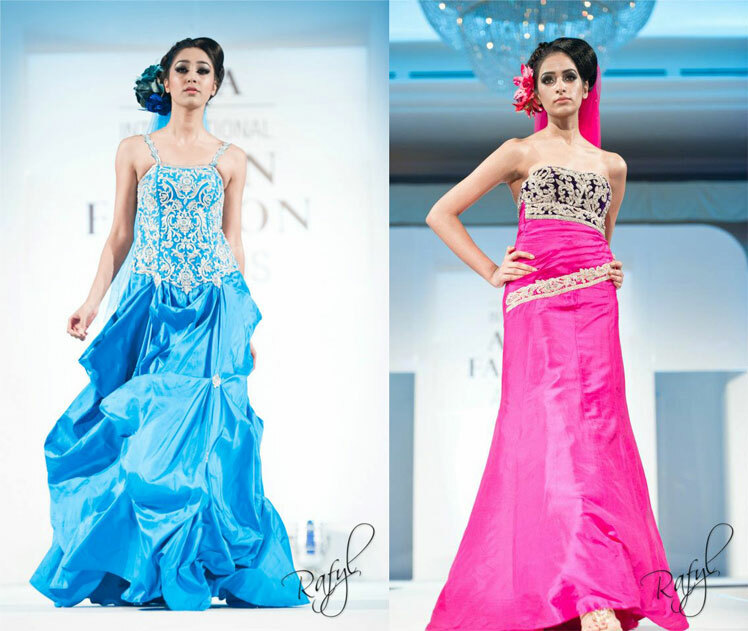 Etka Solanki, who won "collection of the year" at last year's IAFA event. 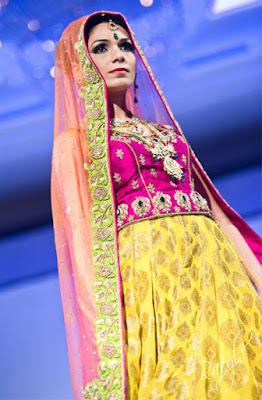 Now onto the fashion show photos! The show was put together by someone who's work I truly admire - Naseeba Sacranie and her team. Amongst other things Naseeba and the Ooops team produced the 2008 Asiana Bridal Shows which, as a bride-to-be at the time, served as a huge inspiration to me (you can view videos from that catwalk show here). The collections on display at this year's IAFA event were from a range of the nominees and winners. 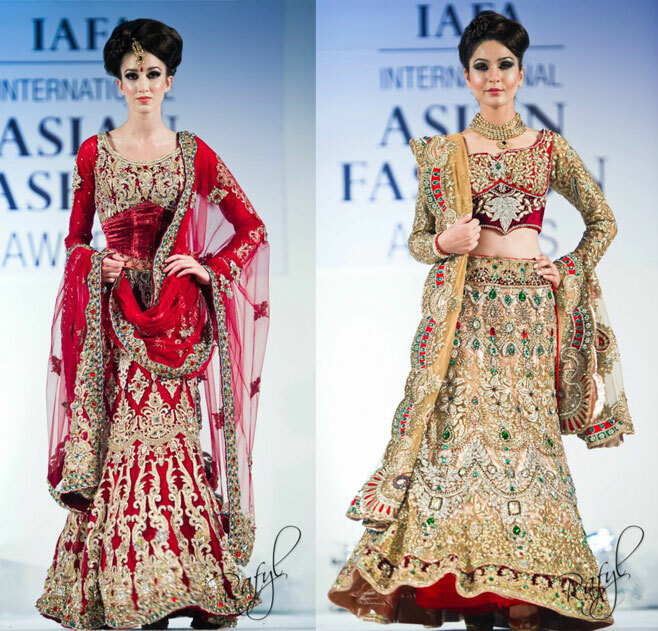 Double winner Ekta Solanki showcased a lot of the same outfits which were seen on the catwalk at the 2011 Asiana Bridal Show in London and indeed in her magazine ads. The outfit in this pic though, I don't think I've seen before. 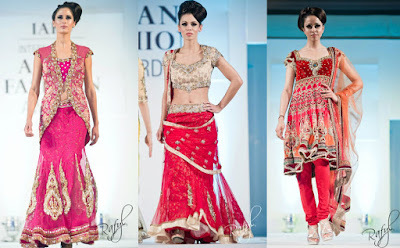 As with Ekta Solanki, a lot of the outfits Gul's Style had on the catwalk I had seen and blogged about before, view their collection from the 2011 Asiana Bridal Show here. Congratulations to all the winners and a special thank you to Rafyl Photography for these photos. 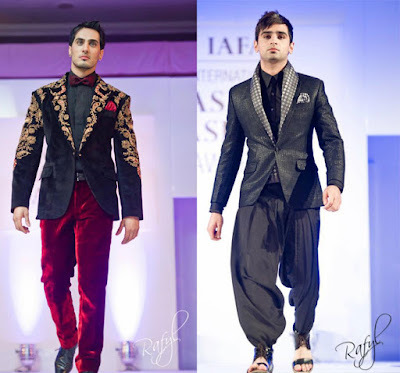 Congratulations to all the participants, fantastic outfits.